There’s not a whole lot in this world that hurts worse than landing in the cold, hard dirt on an equally cold winter day. That’s exactly what happened when my young horse spooked at his own fart in our first indoor ride of the season. As I sat up and tried to determine when exactly I’d aged so much that falling off hurt this bad, I cursed the fact that I lived in a place where winter existed. Somewhere where we were stuck indoors, fighting static and cabin-fever horses for months on end. If you’re nodding your head in agreement with my sentiments, you’ll want to keep reading. Here’s a survival guide on how to survive the “big W”. Cooler weather often sparks some more “up” behavior from our horses. Something about the fresh, cold air is invigorating and often manifests in a particularly forward horse at first. This is where it’s important to take charge and think one step ahead. 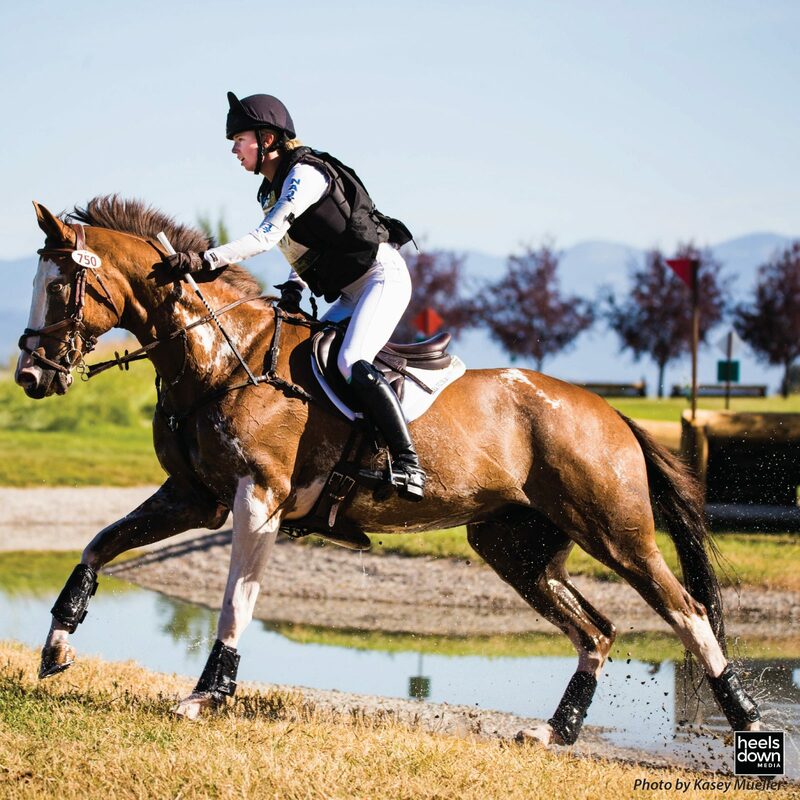 Of course, lunging is an option for a horse with excess energy – and may even be the safest choice for some. But not all indoor arenas are created equal, and more often than not you may be limited on space because you’re sharing the ring. So rather than hang your helmet up and chalk up the evening’s ride as a loss, you might try just getting on and going for a hack. An indoor hack, that is, where you meander about the arena (staying clear of anyone who might be having a lesson or doing some flatwork) with a purpose. Even if you only walk, work on focusing your horse’s buzzing energy on you. Make it fun: put down some ground poles, set some cones up to wind through, make a circle around each jump. Whatever you choose, make sure your horse is working through his back and off your leg, just as you would in any other gait. If your horse is more antsy, it may be better to just go straight to work. In this case, though, it’s still important to keep his attention focused on you. Don’t just stick on the track around the rail (unless, of course, you have rules in your arena dictating this during lessons, etc.). Throw in some serpentines, some spiraling circles, some basic leg yields if you’re comfortable. Usually a few minutes of this bending and changing will take the edge off of your horse’s mentality. The indoor can be a spooky place. Shadows are in strange places, corners are surely lethal for horses, and jumps seem to change appearances overnight for a freshly scary look the next day. All of this in an enclosed, darker space can be sensory overload for the spooky horse. The same tactics in the section above can also be applied to the spooky horse. The less exciting you can make your trips to the indoor, and the more you can give your horse to focus on that isn’t a scary shadow, the easier your ride will be. If your horse will stand next to a buddy, pick a time that isn’t too busy and just go and hang out in the ring. Sit in the middle while your friend does flatwork or hang out and watch a lesson if there is room. The more comfortable your horse can be, the less he’ll find an excuse to spook. If you have the ability to, incorporate “ring hacks” – just spending time hacking around to gain more exposure – into your routine. Spend more time in or near the arena. A former barn of mine had grooming stalls set up next to the indoor. It’s a great place to tack up so your horse can quietly get accustomed to the happenings. If not, and if space allows, you can also hand walk your horse around the arena before getting on. As with any horse, though, the relationship should still be one of the rider taking the lead. A horse in a fearful situation will often want to look to an alpha for direction. In these cases, spooky indoors and all, the answer may simply be to just get on and kick on with it. Use your discretion to determine how much time and care to take. Younger horses or greener riders, for example, may get more mental benefit from a slower start. Lead by example, and somehow you and your horse will make it to the other, sunnier and warmer, side.